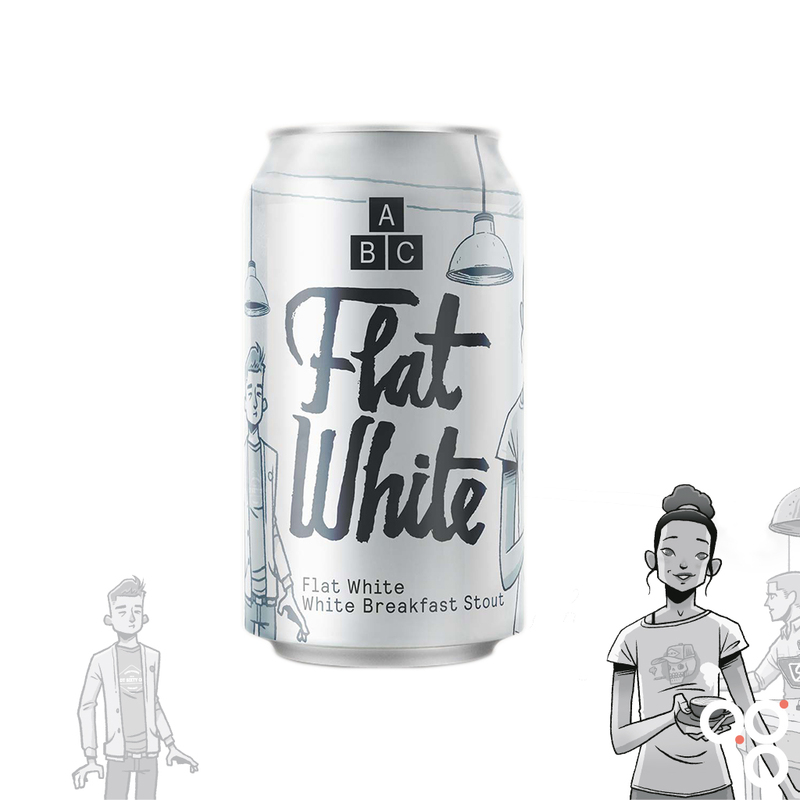 Here’s your cheat sheet for Flat White by Alphabet Brewing Co. Featured in main subscriber box on 19 July 2018. Find Alphabet Brewing Co on Twitter at @AlphabetBrewCo and on Instagram at @alphabetbrewing. Serve this beer between 7°C and 10°C; stick it in the fridge for about an hour. It says stout. Yes. But don’t expect dark things here. In fact, just forget the word stout is in there at all. It’s used here as in ‘strong’ but the connotations with dark and roasted are just too strong to get past. Expectations can colour your tasting more than you might imagine. This is a white stout – so basically a strong golden ale – perhaps tipping over to amber. It should have plenty of coffee notes on top and then milky lactose sweetness making for a rich and full body. What every hipster worth his beard should be drinking for breakfast. Cornflakes? Brown toast and marmalade? Or perhaps alongside a full English. I don’t know, call me old fashioned, but I’m not usually big on the idea of a breakfast beer. Let’s take it over to tea-time instead: a madeleine. Petits fours. Coffee and walnut cake. And then, riffing on that last nut idea, perhaps a carrot and walnut salad with some sesame oil dressing and maybe some spicy fried cauliflower florets thrown in there. I don’t know… that last one might be a stretch. Sometimes these ideas arrive and you don’t know how they’re going to work but it seems worth listening to that little instinctive voice that whispered its suggestion. Maybe some bitter chocolate would work, going up against the sweetness of the lactose and aligning itself with the coffee flavours. A soufflé maybe, with chocolate darker than Jacob Rees-Mogg’s soul. Read more on this beer from BeerBods and Alphabet Brewing Co.